While Kuah is more well-known for its multitude of duty-free shopping complexes, this bustling capital of Langkawi Island does have its charms and features a few landmark attractions. 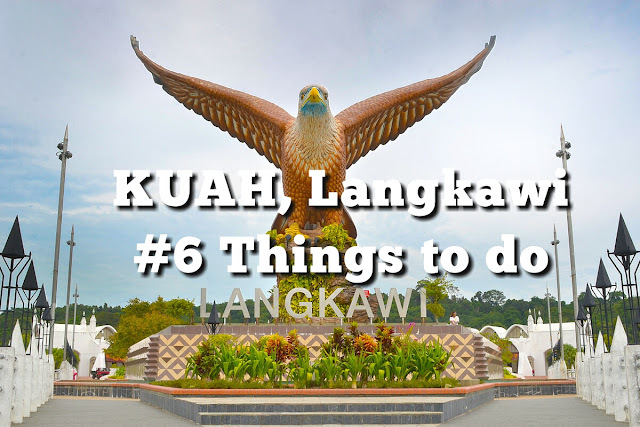 Some of the few attractions one can find in Kuah town include Langkawi’s most iconic manmade attraction, namely Dataran Lang or Eagle Square and Taman Lagenda Langkawi, a folklore-themed park, both of which are situated within walking distances from Kuah Jetty. Before heading to the sandy beaches of Pantai Cenang and Pantai Tengah for a splashing good time, check out our Top Five places to visit in Kuah, all of which make for great scenic photographs with friends and family. Also known as Eagle Square, Dataran Lang is one of Langkawi’s best known manmade attractions, a large sculpture of an eagle poised to take flight. A sight that greets visitors to the island via ferry, the 12 metre-tall statue is one of the island’s most instantly recognizable monuments. Located at the southeast corner of Pulau Langkawi, besides offering beautiful views of Kuah Bay, Dataran Lang has beautiful miniature fountains, terraces and bridges, making it the ideal place for those postcard-perfect holiday photos. The square is a good place to watch ferries ply across the harbour but plan a trip here early in the morning or late in the evening when the sun is at its least intense. 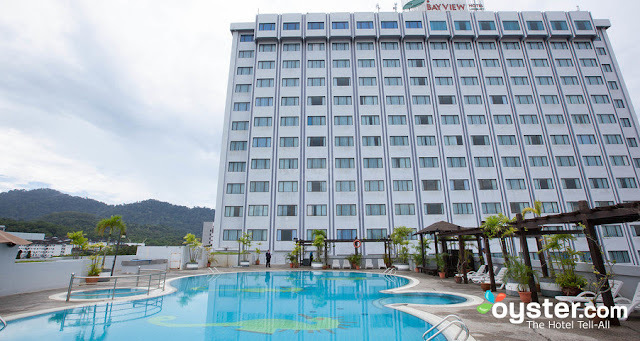 Bayview Hotel Langkawi is located in the heart of the commercial district of downtown Kuah, which is a mere 5 minutes from the jetty where ferry boats ply to and from the mainland, and only 25 minutes from the airport. This hotel has total 282 rooms and have very large swimming pool and you can soak into Jacuzzi after a long day visiting Kuah Town. Guests may exercise at the hotel’s fitness centre or simply relax with a massage at the spa. The hotel also offers private karaoke rooms and a helpful business centre. Friendly staff are fluent in English, Malay and Chinese. You will never regret booking your stay at Bayview Hotel . Do you know if you book Traveloka, you can get big discount on the price? You can check Traveloka and do not forget to see their promotion to get the voucher code. 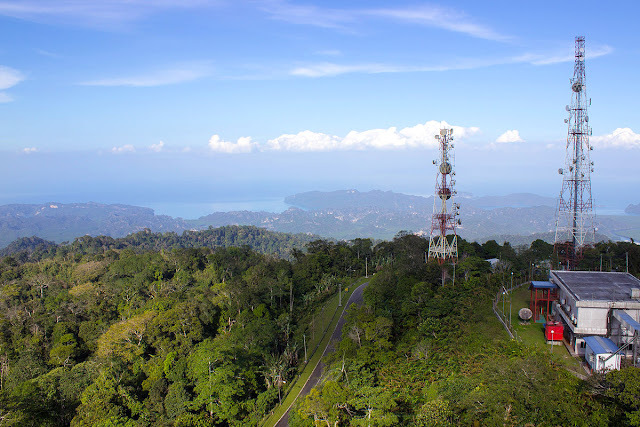 Known as the highest mountain in Langkawi, Gunung Raya peaks at 881 metres in height and its dense forest reserve houses numerous wildlife such as leaf monkeys, flying foxes, macaque monkeys, squirrels, mountain hawk eagles, white bellied sea eagles, and great hornbills. According to local beliefs, the mountain is the cursed form of a giant called Mat Raya, who had once lived on the island. Great for nature enthusiasts, the mountain is also a popular destination for jungle trekking. If you’re not an experienced hiker, joining a nature tour is highly advisable. The best time to trek Gunung Raya is between the months of November and March, when skies are relatively clear with little to no rainfall. 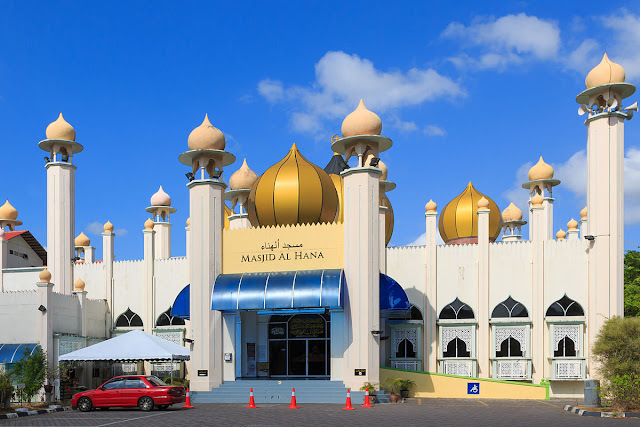 Langkawi Crystal, situated five kilometres away from Kuah, is a highly reputable crystal ware production company on Langkawi Island. 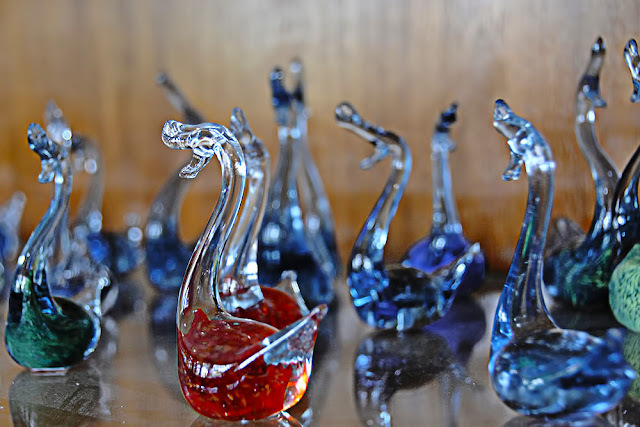 Established in 1996, Langkawi Crystal is Malaysia’s only glass-blowing works which shuns the mass-production moulds of most major European producers. Travellers are welcomed to pay a visit to the factory and see how the individual crystal ware are produced and handcrafted to make it truly unique. Langkawi Crystal offers a wide array of custom made products which make great souvenirs for loved ones back home, ranging from home decoration, fashion jewellery, watches, pewter, crystal plaques, and acrylics to handbags and purses adorned with Swarovski crystals. 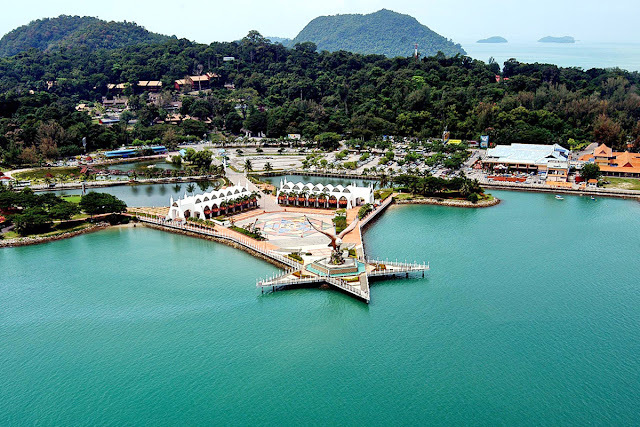 Located beside the Kuah jetty, Lagenda Langkawi Dalam Taman is a beautifully landscaped folklore-themed park. Opened in 1996, the open-air ‘garden museum’ faces the Kuah waterfront and colourful statues, with signboards in English detailing the myths associated with specific sculptures are spread out across the park. 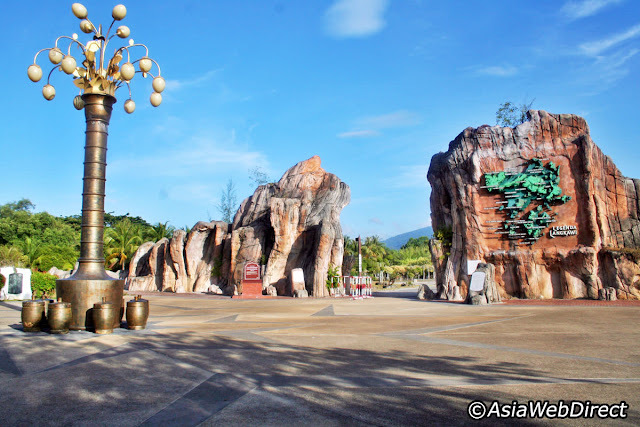 The 50-hectare compound has a total of 17 colourful sculptures depicting Langkawi legends including legends of heroic giants, mythical birds, evil ogres and beautiful princesses. Besides the colourful sculptures depicting Langkawi’s fables, in the compound are four manmade lakes as well as a narrow strip of beach and walking trails that make it a popular spot for local joggers. The park is situated within walking distance of most of the island’s duty-free stores in Kuah – good bargains include chocolate and alcohol.